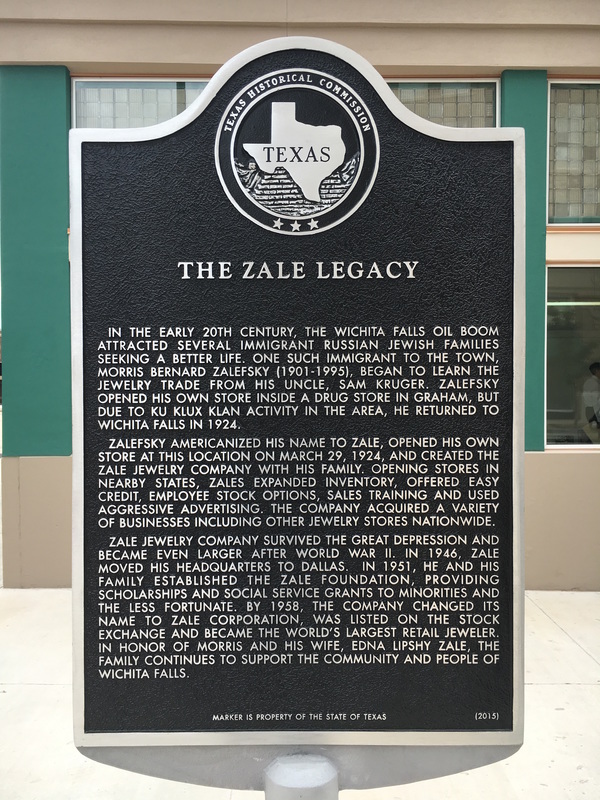 The Zale Legacy marker was installed in May 2016 at 800 Ohio Street, Wichita Falls, 76301. GPS Coordinates: 33-degrees 54' 47" N, 98-degrees 29' 23.5". In the early 20th Century, the Wichita Falls oil boom attracted several immigrant Russian Jewish families seeking a better life. One such immigrant to the town, Morris Bernard Zalefsky (1901 - 1995), began to learn the jewelry trade from his uncle, Sam Kruger. 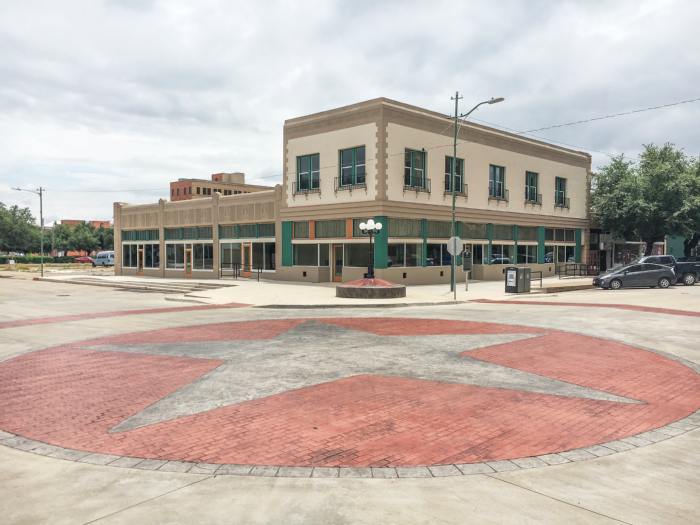 Zalefsky opened his own store inside a drug store in Graham, but due to Klu Klux Klan activity in the area, he returned to Wichita Falls in 1924. Zalefsky americanized his name to Zale, opened his own store at this location on March 29, 1924, and created the Zale Jewelry Company with his family. Opening stores in nearby states, Zales expanded inventory, offered easy credit, employee stock options, sales training and used aggressive advertising. the company acquired other jewelry stores nationwide.